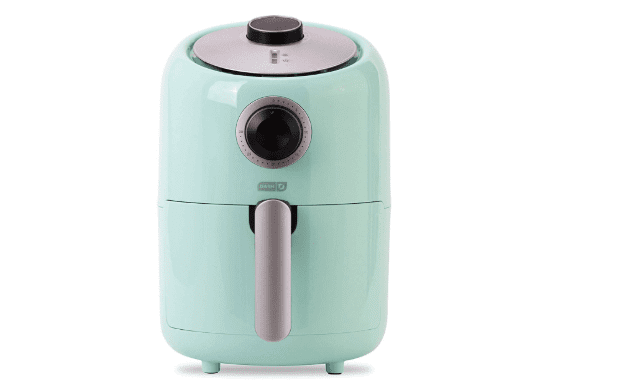 Short on counter space and looking for a small-sized air fryer? The Dash Compact Airy Fryer is our top choice. It’s one of the smallest air fryers on the market with a 1.2 liter capacity and even comes in a variety of colors. It stands 14 inches high, weights less than 10 lbs, and has a footprint of 11.4″ 13.2″.